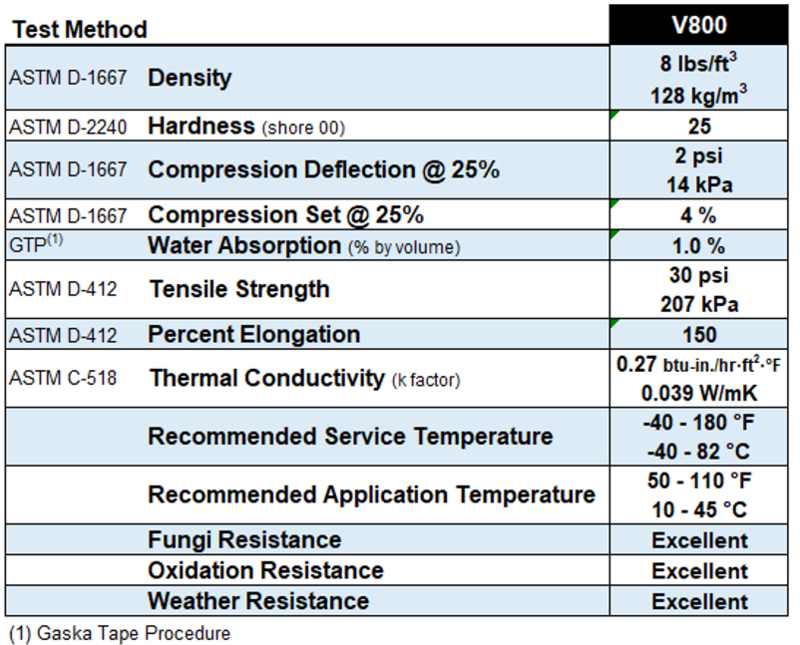 V800 Series – Gaska Tape Inc.
Gaska Tape’s V800 Series product is a light density closed-cell Polyvinyl Chloride foam. This economical, general-purpose foam tape is manufactured for use in applications requiring positive seals on irregular surfaces or when flex and conformability to seal tight radius curves are critical considerations. Absorbs shocks, cushions, deadens sound and eliminates excess vibration. Provides an excellent buffer between contact surfaces. V810 is cast on a 5 mil supercalendered kraft 83# paper. V815 is cast on a 1.5 mil polyester film to provide dimensional stability, and is a self-wound product. Die or kiss cutting material is available on 84# polycoated release paper or 12pt. release board. Light density foam is easy to compress and conformable. It is still strong and resilient.